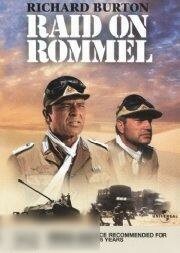 Synopsis: Seven-time Academy Award Nominee Richard Burton (Where Eagles Dare) is a British intelligence officer who leads a daring attack on the German shore defence at Tobruk in this explosive WWII drama. Infiltrating a German POW convoy, Captain Foster (Burton) learns that the commandos he hoped to link up with have been almost completely wiped out, and the prisoners belong to a British medical unit. Aided by MacKenzie (John Colicos), one of the surviving commandos, he vows to carry out his mission, which is further complicated by the presence of an Italian general's mistress (Danielle de Metz). Together, Foster and Mac whip the ragtag band of POWs into a fighting force that overthrows and impersonates its captors - only to stumble into an unexpected meeting with Rommel (Wolfgang Preiss)!